Ever since I added this trip, it has been a huge success. It is pretty easy to see why when you get here as the surrounding landscape is beyond description. 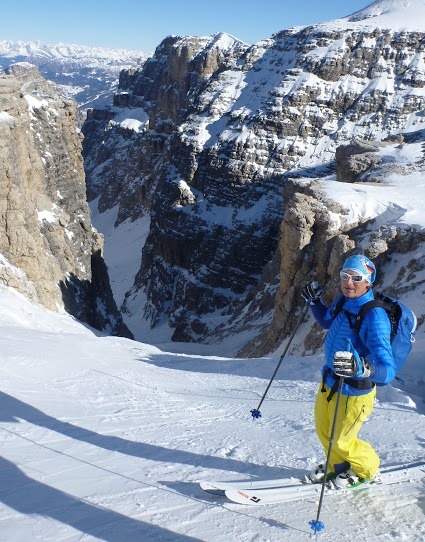 I can't think of a better ski guide program for the Dolomites anywhere. The stunning scenery, incredibly long descents and fabulous food make this an absolute "must do" ski trip. This camp is geared towards strong off-piste skiers looking to maximise their downhill thrills with a combined use of lifts and via boot pack and or a short skin on skis. Typically we'll hike and or climb around an hour a day to better access prime skiing. 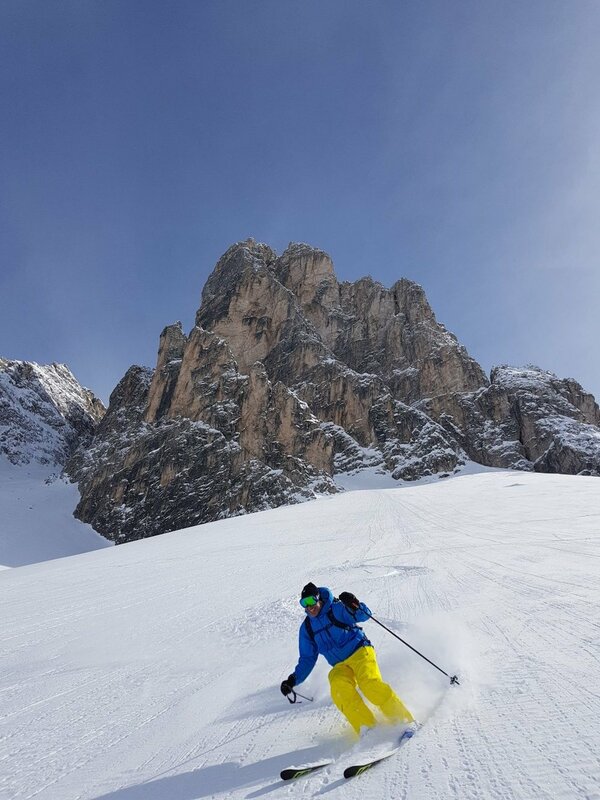 Skiing in the Dolomites isn't as well known to most people as one might think. 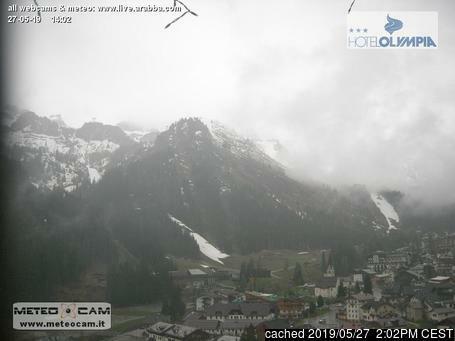 But for those that have skied here or read or heard about the skiing - you know they will be coming back for more. I can't think of a more stunning, a more picturesque backdrop in which to ski. And the skiing is nothing short of outright amazing. There are surprisingly few skiers off piste, so it's pretty easy to enjoy the vast amounts untracked snow to be had. Our first morning gets started with a breakfast briefing and course presentation. 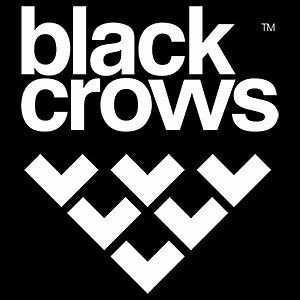 We will discuss a general theme and plans for the week and also do a quick gear check. This first day also includes an important avi "buddy check" refresher in one of the local practice areas where we will go through the basics of avalanche safety. 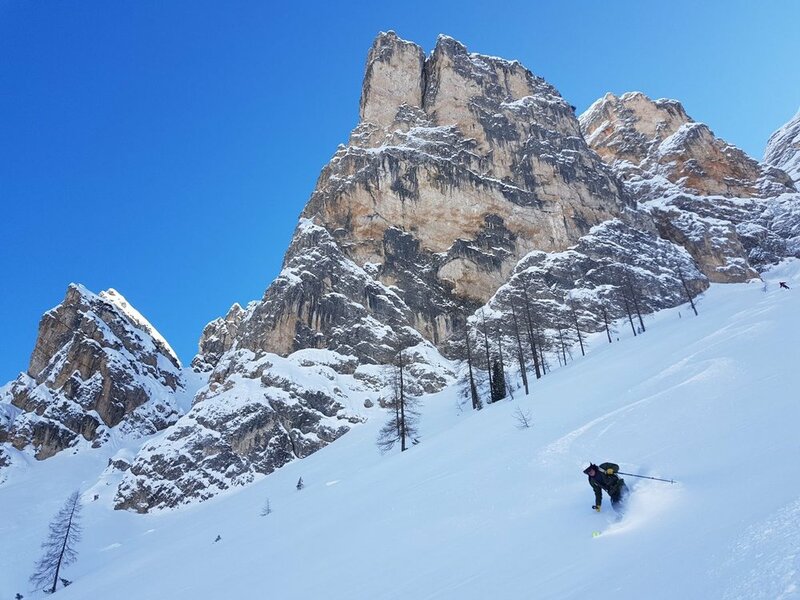 The Dolomiti Superski as it is referred to here will leave you with nothing but smiles and tired legs by the end of the week. This area has the largest amount of skiing on the same single ticket of any where in the world. Yes anywhere. The Passo Pordoi and the Val Mesdi, Val Lasties or try climbing the Piz Boe - highest point in the Sella massif, the couloirs below the Lagazuoi hut, hidden chutes in the Cinque Torri, perhaps a day of skiing around Cortina and the famous Tofana and Christallo areas and of course a memorable evening will be spent on the mighty flanks of the Marmolada at one of the most authentic huts you can find in all the Alps.